Libby is an enchantress. 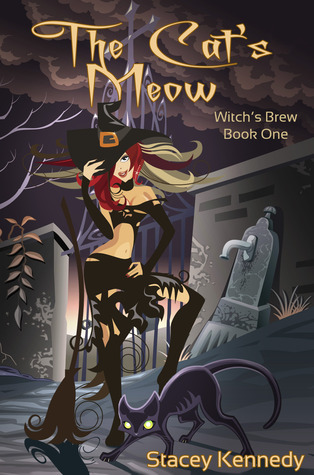 It’s her job to investigate crimes committed by witches and warlocks within her Charlston coven. When cats start showing up badly mutilated all the signs point to them being used in dark rituals. With the unwelcome help of Kale, a mysterious and powerful warlock she sets out to hunt down the miscreants. There are some good things in this book, but all those things when added up don’t quite make a good book. Within the 182 pages of this novel there is an exceptional 90 page novella. This entry was posted in Uncategorized and tagged paranormal romance, stacey kennedy, warlocks, witches by setaian. Bookmark the permalink.